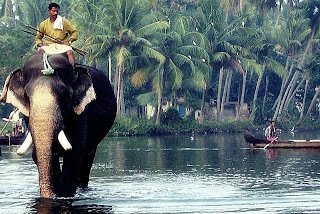 Mayyanad is a beautiful village situated in Kollam district of Kerala and is about 10 kilometers south of Kollam city. Mayyanad can be reached by frequent buses from Kollam and Kottiyam and by local train from Kollam and Thiruvananthapuram. 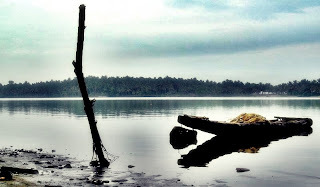 Mayyanad is situated on the banks of the Paravur lake. Mayyanad's costal line along the Arabian sea is famous for its fishing. This village is the birth place of well known personalities like C V Kunjuraman, C Kesavan and K Sukumaran. 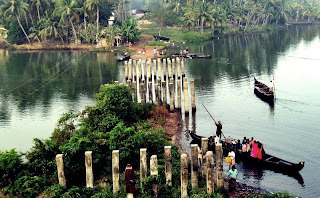 Mayyanadu,10 kms south of Kollam is noted for its shrines and temples. The most important temple is the one at Umayanallor, dedicated to Lord Subramanian. The shrine is said to have been consecrated by Shri. Sankaracharya of Kaladi. Besides the temples, there are three churches and a Mosque. Cotton weaving and oil pressing are the main occupation in the village.